Home staging has become an increasingly formidable force in helping people sell their homes more quickly and for more money. Its overall goal is to help prospective home buyers emotionally connect with a space, hopefully leading to an offer to buy. Home staging isn’t limited to just high-end properties. It has become a norm for homes at all price points. While staging may seem like an additional hassle and expense, the investment can pay off. 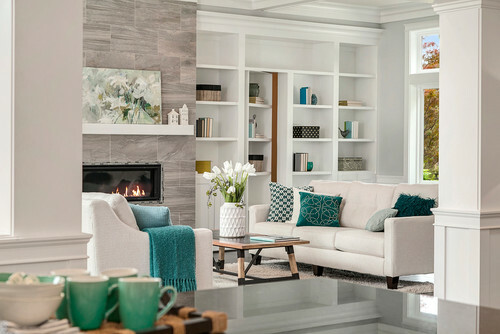 Here’s a guide to home staging, including the benefits, process and reasons to stage your home if you’re considering a move. Anyone selling or buying property may benefit from home staging. Homeowners selling single-family homes, condos and townhouses make up the greatest percentage of those hiring home stagers. However, property developers selling new construction, and real estate agents, also are in the mix. While home staging was created primarily to benefit the seller, seeing prospective properties in their best light also can be advantageous to buyers because it can cut down on their search time. 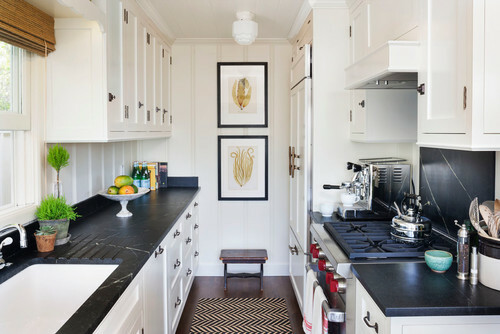 Most people have trouble visualizing a space’s potential, whether that’s figuring out how to lay out an empty room or trying to ignore oddly arranged furniture, clutter or decor that’s not their style. The majority of home buyers can’t easily look past what’s in front of them to appreciate a room’s potential. 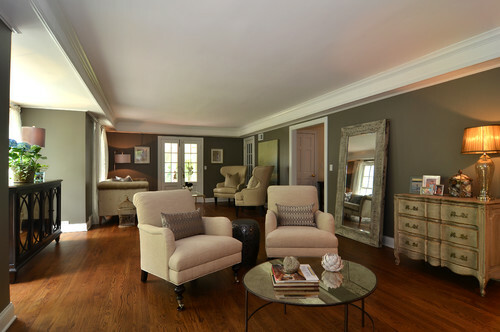 Staging helps eliminate the buyer’s guesswork. “The key is to set the stage for potential buyers to imagine themselves living there,” says home stager Robin DeCapua of Madison Modern Home. A 2015 study by the National Association of Realtors confirmed that more than 81 percent of home buyers find it easier to visualize the property as their future home when it’s staged. Had the staged living room seen here been empty, many people might have found the large space intimidating and possibly off-putting. Instead, Audrey Gourguechon of Staging North Shore in Chicago created multiple seating zones to highlight it as an inviting living and entertaining space to potential buyers. Prelisted staged homes spend 90 percent less time on the market than their nonstaged competition, according to a 2016 report by the Real Estate Staging Association. Considering the monthly carrying costs — mortgage, taxes and utilities — that translates into a lot of saved cash if the home spends less time on the market. Shopping for many things these days is done online, and real estate is no exception. “Today, buyers look at the online photos before deciding to come in and view the homes in person,” says Shirin Sarikhani of Seattle Staged to Sell and Design. Web surfing is the first step in the buying process, and if your home doesn’t grab their attention, it will likely be passed by. Buyers decide whether they like the home or not in the first few minutes after entering. 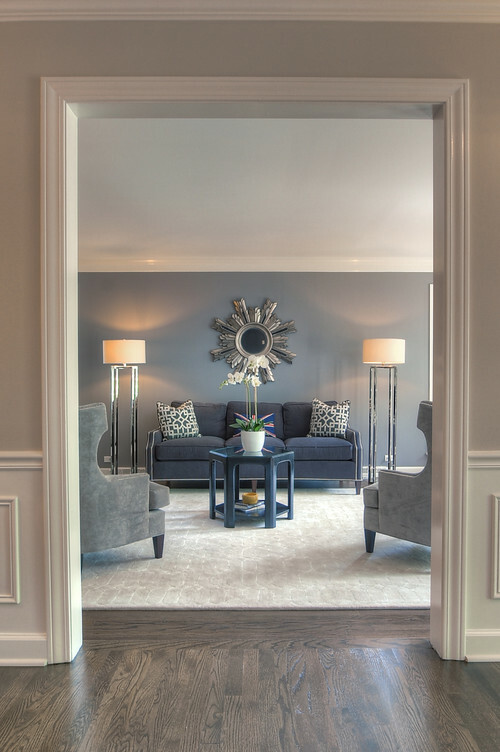 There’s only one opportunity to make a first impression, so you don’t want to be the seller who skipped out on staging, especially if there are several houses on the market in your area. Even if without staging you manage to get potential home buyers through the door for one viewing, they may not return for another look if nearby properties appear more enticing. Most homes have characteristics that are selling points, like architectural details or a great view, like the one shown here. But if these highlights aren’t actively showcased, they could go unnoticed. Or worse, a positive attribute could instead be perceived as a negative. Let’s use this room as a hypothetical example. 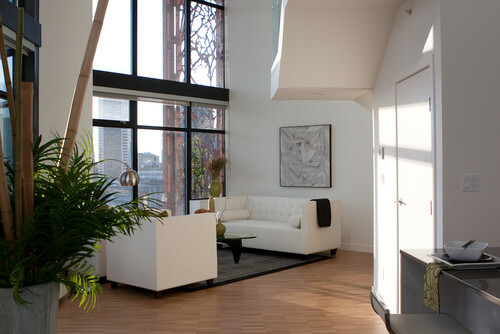 Slim, modern-style seating accentuates the city view by not blocking the window. On the other hand, an oversized roll-arm sofa with its back against the window could have send a message to prospective buyers that the living room is too small for a full-size sofa without obstructing the sought-after view. Boiling it down to a mere sofa location, the buyer might have moved on and considered a different property. Let’s be honest: You’re too attached to your home to see it clearly. Homeowners have too many memories and attachments to belongings that can cloud seeing the whole picture. A home stager is a pair of fresh eyes with no emotional ties to the house or its contents. He or she is in a position to suggest packing up Grandma’s afghan or shifting a beloved painting from the hallway to the fireplace mantel. For the staged living room seen here, a bulky cabinet angled in a corner was swapped out for a more useful and attractive reading area. It’s not personal. “When selling your home, it’s not about you anymore,” Sarikhani says. “It’s about the buyers, so being detached is the most important aspect of selling the home.” Home stagers emphasize to their clients that their feedback shouldn’t be taken personally, but rather should be seen as a means of helping prospective buyers envision their own belongings in the home. Most often, clients are happy with the changes and remark that they should have made changes earlier. 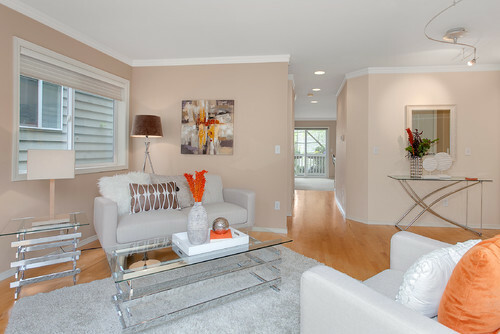 Sarikhani has even had clients love their newly staged home so much that they take it off the market. 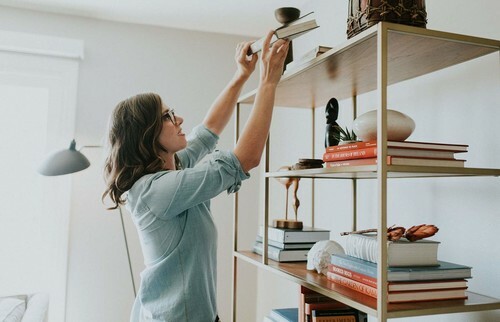 While some staging projects require only a few accessories and moving furniture from one room to another, the average staging project requires one-third to one-half of the home’s contents to be removed and stored off-site. 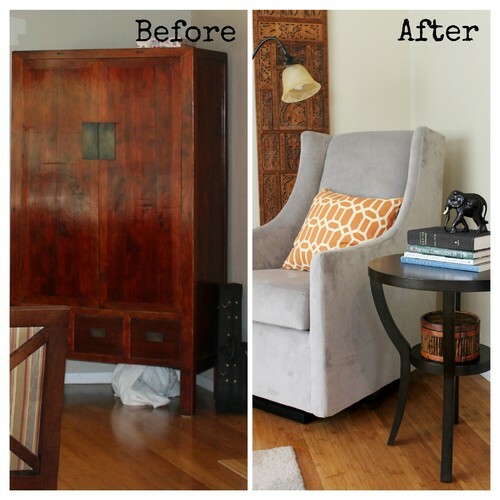 Too much furniture and pieces that are too large are common culprits. Also, home staging expert Barb Schwarz suggests that closets be half-full rather than bursting at the seams. Overstuffed closets convey that the home has inadequate storage space. “We remind clients that once their home sells, they’re moving anyway, so why not get a head start on the packing process?” DeCapua says. While stagers recommend clearing away pieces from the home that won’t be making the move, many recommend not doing anything else, like painting or decluttering, until they visit your home. 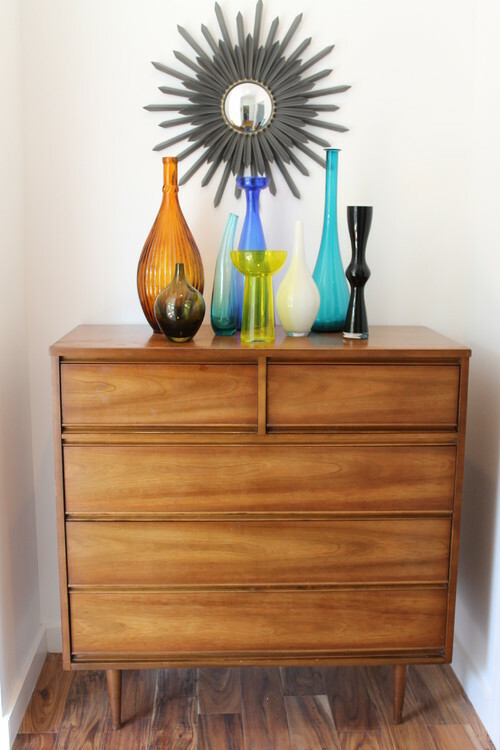 You could pick an unsavory new paint color that has to be painted over or, as Sarikhani has experienced, remove too many items that then have to be replaced with staged pieces, which can add to the cost. Home staging costs vary widely and tend to fluctuate with location, scope of work and ease of access. Some home stagers charge based on square footage. The National Association of Realtors’ 2015 Profile on Home Staging cites $675 as the median spent on home staging, but projects can range from a couple hundred to thousands of dollars. 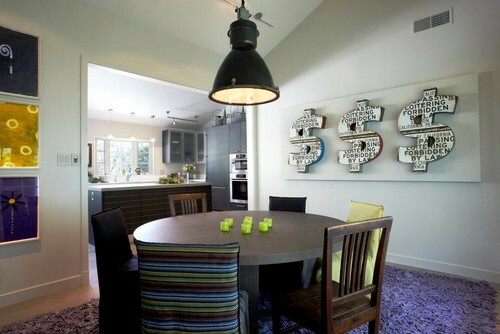 Staged projects tend not only to recoup the initial investment but to generate more profit. DeCapua says for 2015, Madison Modern Home’s data show that their clients received more than $6 for every $1 spent on staging — and more than half the homes they staged that year sold for more than their initial asking price. On average, staged homes sell for an average of 17 percent more than nonstaged homes, according to a survey by the International Association of Home Staging Professionals and StagedHomes.com. Gourguechon makes a persuasive argument: The cost of staging will always be less than the cost of your first price reduction on your asking price. Professional home stagers should have comprehensive insurance to guard against any damages made to your home during the staging and destaging processes. Likewise, the client would be responsible, either personally or through homeowner’s insurance, for any damages made to the staged furnishings. It’s a good idea to check the coverage of your homeowner’s insurance policy and discuss with the home stager his or her insurance coverage. Also, it’s wise to verify a stager’s insurance and business licenses before you hire anyone. Which Rooms Are Most Important to Stage? 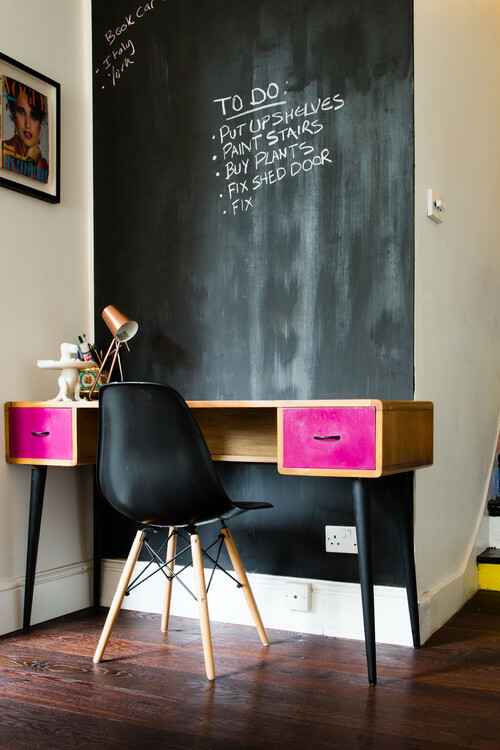 While it’s ideal to stage all the rooms in your house, your budget might not stretch that far. If you can do only a room or two, rooms should be staged in this order of priority, according to the NAR 2015 Profile of Home Staging: living room, kitchen, master bedroom, dining room, bathrooms, children’s rooms, guest bedrooms. Sarikhani also advises that homeowners not dismiss “forgotten” spaces. She recently turned a large furnace room into a fetching little home office. Process. An initial in-home appointment with a professional stager usually lasts between one and three hours. The stager will likely take photos and may draw a simple floor plan. He or she will determine what should stay, what should go into storage and what items might be moved to different locations, and will assess the property’s general readiness to be staged. The home stager will also discuss timing and availability, and supply an estimate and options, usually after a couple of days. If the proposal is approved, a contract will be drawn up and a staging day scheduled. Staging typically takes one day, but large properties can require more time. The home will be destaged after it has been sold or as per the contract. It’s a good idea to interview more than one home staging company, look at all of their portfolios and ask for references from previous clients. What Items Typically Are Not Included in Staging? This can vary with different home stagers and based on whether the property is occupied, but most do not supply window treatments, bedding, towels or live plants. Any suggested updates, like painting and new flooring, are typically paid for and arranged by the homeowner. However, the staging professional may recommend paint colors or other products. Homeowners are responsible for cleaning the home prior to staging as well as for the duration of the contract. The tasks of packing, moving and securing a storage facility for belongings that will not remain in the home during the staging period are the homeowner’s obligation as well. What About Staging a Home With Pets? Most professional stagers won’t stage in homes with cats for fear of scratched furniture, and some do not work in homes with any pets. Others will stage a home with animals only if they are kept out of the staged rooms. 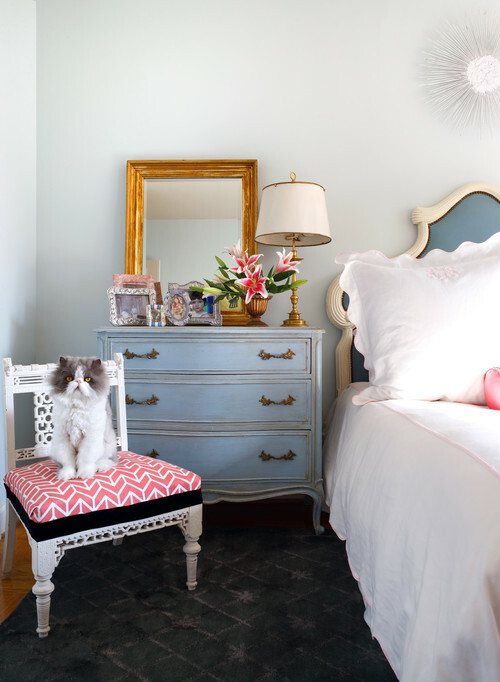 The issue of pets is an important point to discuss with your home staging professional. Give your home a thorough, “white glove” deep cleaning. Fix anything broken or easily improved — oil squeaky hinges, for instance. Replace lightbulbs or at least make sure all of your fixtures have working bulbs and the illumination is consistent. Weed and mulch your flower beds, especially in front of the home, for curb appeal. You’ll make a good impression before potential buyers even reach the front door. Pack away superfluous family photos on display. Keeping a few out is OK, but too many pictures dampens the “I could see myself living here” reaction of potential buyers.